Whether you're listening to Arianna Huffington or Dr. Oz, the topic of sleep is front page news. Not too long ago, it was considered a badge of honor to be able to burn the midnight oil and wake up at the crack of dawn. Icons like Margaret Thatcher and Bill Clinton were functioning insomniacs, sleeping 5 hours a night. New research has debunked the myth and suggests the optimal amount of sleep is 7-9 hours a night. Sleep deprivation is linked to irritability, stress, anxiety, depression, high blood pressure and a weakened immune system. Nothing we don't know ourselves. When we're exhausted, we're moody and more likely to get sick. We're also groggy and have poorer reaction times, which can lead to more accidents and falls. Now we have the research to back it up. In a seminal research study at the University of Chicago, researchers followed students who only got 4 hours of sleep for 6 straight days. The students developed high blood pressure, increased levels of cortisol (hormone released when stressed), developed half the number of antibodies to a flu vaccine and even displayed signs of insulin resistance, a precursor to diabetes. All measured effects were reversed when the students got back to their normal sleeping habits. Another research study done at the University of Pennsylvania and Harvard demonstrated the effects on the brain, not just the body. It followed a group of people who were averaging 7-8 hours of sleep a night. They took three quarters of the group and had them sleep for 8, 6 and 4 hours and a fourth group got no sleep at all for 3 straight days. They were then tested for reaction times, cognition and memory. Those who got 8 hours of sleep tested the same, while those who got less sleep experienced dramatic drops in all 3 categories. In fact, the individuals who got 4 hours of sleep tested the same as those who got no sleep for 3 straight days! If you're not sleeping well there are steps you can take to try and improve your sleep. First, see what you can do on your own. For example, create a comfortable sleep environment, develop good nutrition habits and get a healthy amount of exercise. Avoid exercising too close to bedtime, or it can keep you up at night. The key to sleep is to create a good night time routine that works for you and stick to it. Go to sleep early enough so that you don't have to use an alarm to wake up. If it's 9 hours for you, get your 9 hours. If you wake up naturally after 7 hours, get 7 - but no less. Bottom line? Get your sleep. 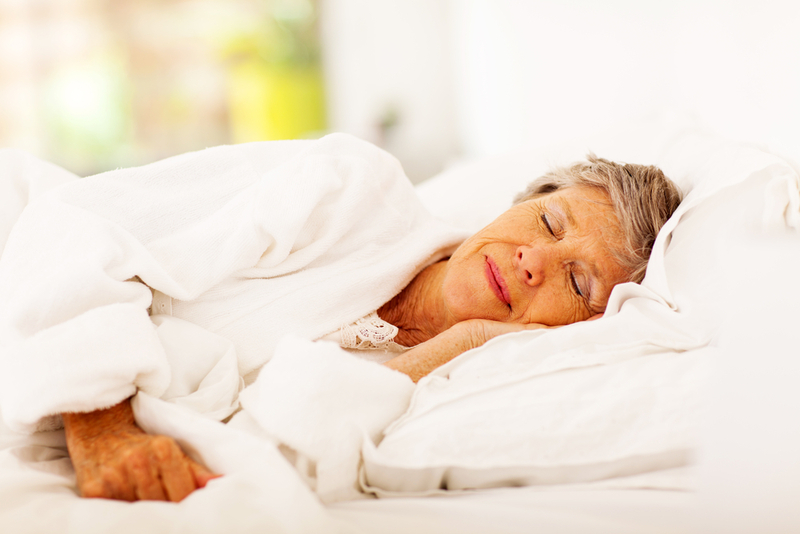 Many issues like poor memory, lack of energy and repeated sickness can be caused by poor sleep. So treat your sleep like a necessity, not a luxury and you'll never feel better!